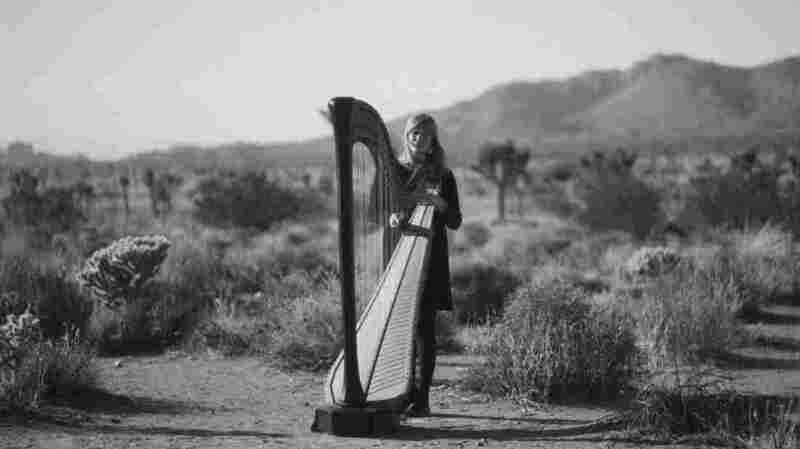 Mary Lattimore's 'Hundreds Of Days' Reinvigorates The Imagination Indie rock's most in-demand harpist conjures a veritable sky of sound on her third album. 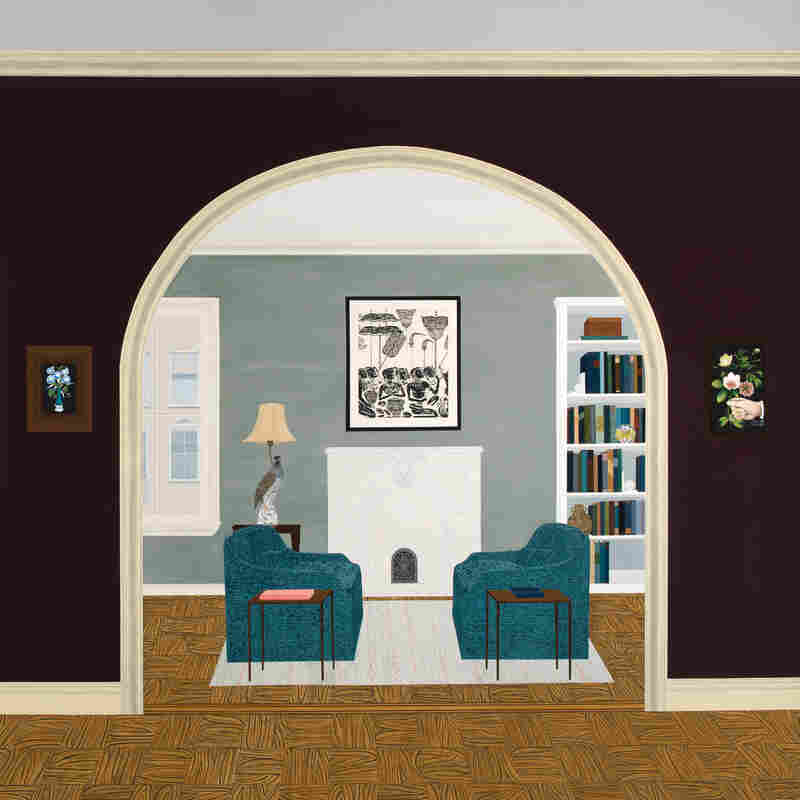 Mary Lattimore's Hundreds of Days comes out May 18. In the assorted realms of indie rock, Mary Lattimore is the monarch of instrumental harp. During the last decade, she has recorded or toured with the likes of Kurt Vile, Thurston Moore, The Clientele and Sharon Van Etten, adding silvery veins or starry ceilings to their songs. She has performed with Pulp singer Jarvis Cocker and contributed to the scores for recent films about the performance artist Marina Abramović and generational uncle Fred Rogers. And in a series of increasingly absorbing collaborative LPs and records under her own name, she has learned to paint pictures of landscapes and express mixed emotions without a word. In rather short order, Lattimore has become one of the country's most compelling soloists. But for Hundreds of Days — Lattimore's third proper solo album, her first since relocating from Philadelphia to Los Angeles — she decided to explore what she didn't know. During a two-month residency at an arts center in the Marin Headlands high above San Francisco's Golden Gate Bridge, Lattimore momentarily set aside her Lyon & Healy harp to tinker with electric guitar, synthesizer, sequencer, piano and (perhaps most surprising of all) her voice. Her gear scattered in an old redwood barn, she slowly combined her 46-string specialty with the more common tools she was still learning. The six songs on Hundreds of Days find Lattimore's ability to tell stories and share sentiments enriched, her vocabulary expanded without hindering her music's consummate core. Her dexterity on the harp itself has grown, too, sometimes now suggesting the bejeweled webs of Mali kora master Toumani Diabaté. Hundreds of Days, then, is a collective testament to the power of the beginner's mind, or of allowing what you don't know to reinvigorate the possibilities of what you're known for. The shift and its itinerant power are clear from the very first minute of Hundreds of Days, during the exquisite "It Feels Like Floating." Lattimore frames an ascendant, patient harp line with spectral vocals that recall the solo symphonies of her friend and collaborator Julianna Barwick or even the luxuriating sounds of Estonian composer Arvo Pärt. This feels, indeed, like floating — and also like watching the setting sun filter through the towering trees, seeing the morning sun bathe an immense mountain range, or most anything you experience where all you have left to do is sit and wonder. This is a veritable sky of sound. "Baltic Birch," on the other hand, conveys a beautiful sense of doom. Inspired by the sights of a sojourn through failed vacation towns along the Latvian coast, Lattimore backlights her pensive harp sweeps with an organ's eerie glow; as those pretty patterns build into messy tangles, she adds a snarling electric guitar that conjures the Western epics of Earth's Dylan Carlson. The sound reflects the complex recognition that death and decay are only natural symptoms of life, even for the artificial things we've created. Lattimore's greenhorn enthusiasm for many of these instruments gives Hundreds of Days a human grit, with her perceptible fingerprints preventing these pieces from floating off into New Age ether. Toward the end of "It Feels Like Floating," for instance, a high-pitched hum and little drips of static linger in the distance — willfully preserved accidents, perhaps, that pull you back to earth as an organ's chords rise skyward. The strummed guitar chords that open "Their Faces Streaked with Light and Filled With Pity" and then become the harp's canvas are halting and uneven, the sound of a neophyte reckoning with the unfamiliar. But set against the expert intricacy of the harp, the guitar's uneven waves create a perfect sort of narrative tension between hope and anguish. The contrast is endlessly bittersweet, leaving us to wonder about what will happen to the characters in Lattimore's mind. Perhaps there's a worry that the newness will wear off, that as Lattimore continues to play guitar and keyboards, this delightful frisson will slide toward slickness. Maybe, but these songs uniformly suggest broad vision, ambition, and a half-dozen ways they could each expand. This is not an endpoint. It is instead an exquisite blueprint for Lattimore to become more than indie rock's monarch of instrumental harp and, instead, a songwriter whose technical control and inquisitive nature now make the places and situations she paints so much more vivid and real.